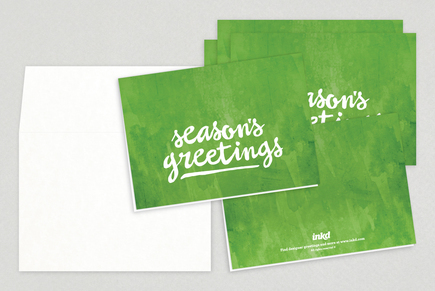 Custom Print Greeting Cards are the perfect way to stay in touch with friends and family or reach out to clients and customers with holiday greetings, a thank you, or New Years wishes. Each pack of Greeting Cards contains 24 folded cards and envelopes featuring our full color designs. We leave the insides blank so you can add a message all your own. Other quantities are available - just give us a call!